Settlers coming to the United States/Canada from England faced incredible hardship, imagine landing somewhere with nothing and having to build a home and survive. Death haunted them around every corner, in every winter, behind every illness. Little was known of germs and how disease spread so these occurrences were often blamed on the supernatural or on the moral failures of the sufferer. Many turned to strict religion to find comfort and others revived old English “white witchcraft” or apotropaios (meaning to turn away evil) rituals to provide them with a sense of security in this new harrowing world. 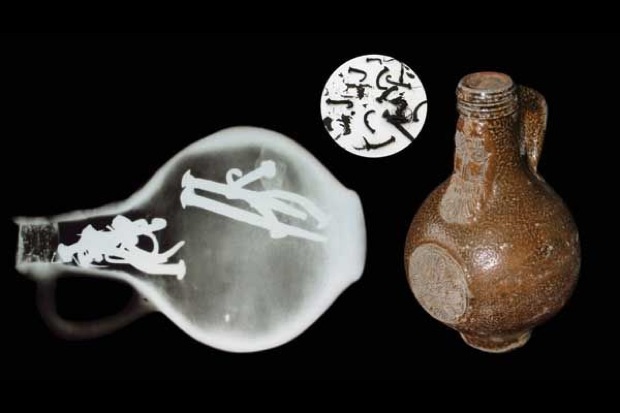 Witch bottles were one way pilgrims sought protection from magic and evil in their world. 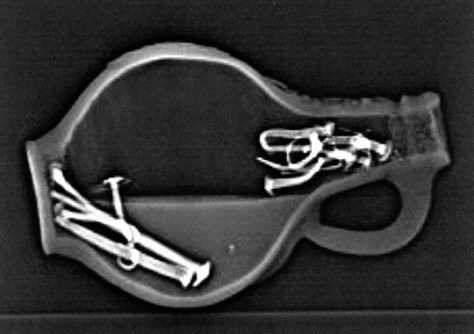 These usually involved filling a carved or decorative bottle with sharp objects (pins or needles usually, others have been found containing broken glass), urine (usually from the person needing protection), and occasionally herbs or other meaningful bits. These bottles were sealed tight and buried upside down in the earth at the entrance to the home or under the hearth itself. 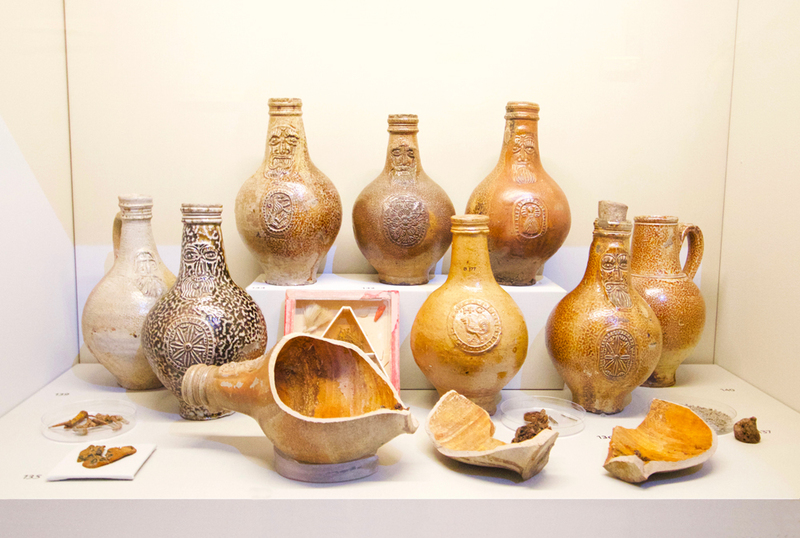 These bottles were thought to break curses or to ward off evil from entering the home itself. They’ve been found buried and even walled into the stonework of homes from about the 1600s til the mid 1800s. This tradition and others like it were so prevalent laws were set in place to control witchcraft. Use of witch bottles peaked around the time of the witch trials in the USA, for obvious reasons. Witches were on everyones’ minds. Very little is written of the ritual of making and burying or burning these bottles, but finding them is common enough for it to have been very widespread. In modern witchcraft bottles are still used for protection rituals and all sorts of spell casting.